Names and information please for this photograph which appeared in the Derbyshire Times. Photo courtesy of Anthony Broome. 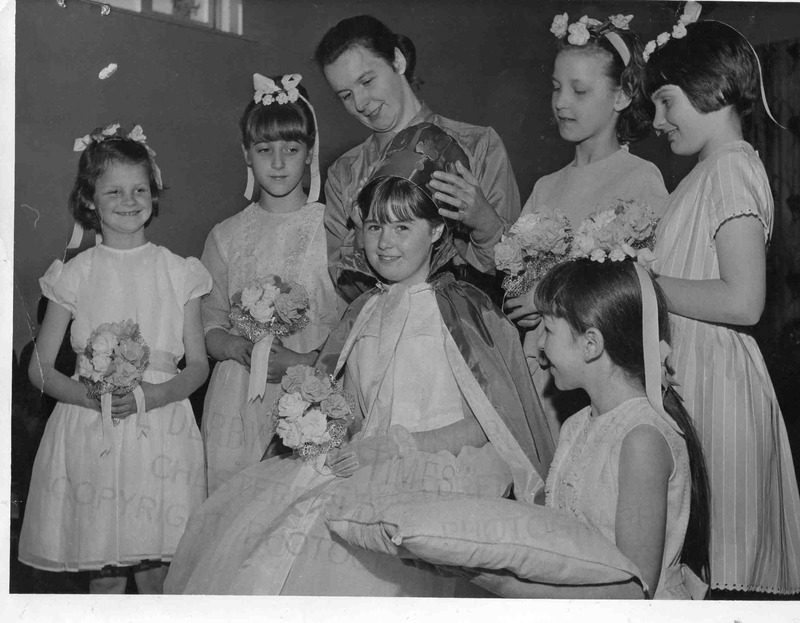 Crowning the Killamarsh Brownie May queen approx 1965…. adult is Mrs Peterken (the vicars wife). May queen is Christine Dobson. Child on the far left is Margaret Mary Peterken (vicars daughter).